You can spend months or even years learning things that will not produce any major impact on your game. Those are the things that the "average" players do and get the "average" results. There is one thing contributing greatly to chess success that majority club players overlook … and that is strategy! Strategy is a roadmap leading straight to your goal. If you don’t have one, even the fastest car in the world won’t help you at reaching your destination. In chess, lack of strategy will prevent you from winning in 90% of the times. What's this course is about? 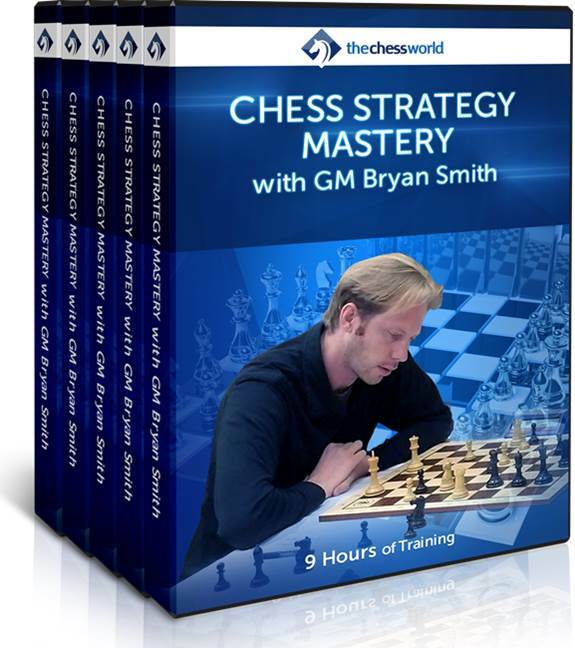 A world’s renowned chess expert, GM Bryan Smith compiled over a decade of his experience as a player and coach creating a "university level" course on chess strategy. With this course you will experience the smoothest and fastest transformation to a chess champion! Add powerful GM Smith’s strategies into your game, and leave all your chess buddies far behind! Train the important strategical motifs with a set of specifically designed tasks and challenges. Practical part is an important element of the course. Summary of the key points covered in each of the course's 15 lessons for quick reference and reviewing. Use it as a quick refresher after studying the course or print it and pin it on the wall. 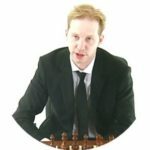 Watch GM Bryan Smith playing live and applying every single principle covered in the Strategy course. GM Smith annotates the games on-the-fly, sharing his ideas and secrets of success. A must-have for any serious chess player. Instant download of the 3 hour long, video course with GM Misa Pap. This video covers how Grandmasters evaluate positions over the board and teaches you to do the same. Instant download of the 3.5 hour long, video course with GM Tiberiu Georgescu. This video covers the most important psychological aspects of the game and how they can be used to get an edge. First 35 buyer only. If you've already purchased this course you can get an alternative choice of a comparable value. Train the important grandmaster's thinking motifs with a set of specifically designed tasks and challenges. Practical part is an important element of the course. is an American Grandmaster and chess coach. GM Smith has won many international tournaments including Limpedea Cup (Romania), Citta di Erba (Italy), Easter International (Serbia), Philadelphia International, National Chess Congress, US Masters, etc.